Another favorite of the cold season, and available for limited time only. This heavenly juicy sweet creation contains a great number of single elements and flavors can serve as the ideal substitute for a dessert. 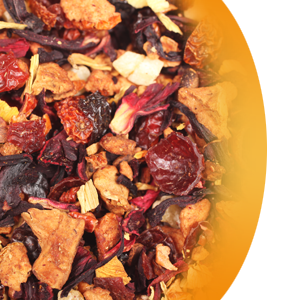 Very aromatic, creates semi sweet cup with flavors of apples, pears, hibiscus, roses, pineapple and cinnamon. Caffeine free.